Fabric collage is so much fun and provide so many options! Learn how to create your own unique fabric collage using the Laura Heine's method. In this class, we will start the process of creating a project quilt measuring approximately 21" x 35" which could easily be converted into a brilliant wall hanging or center medallion in a larger quilt. 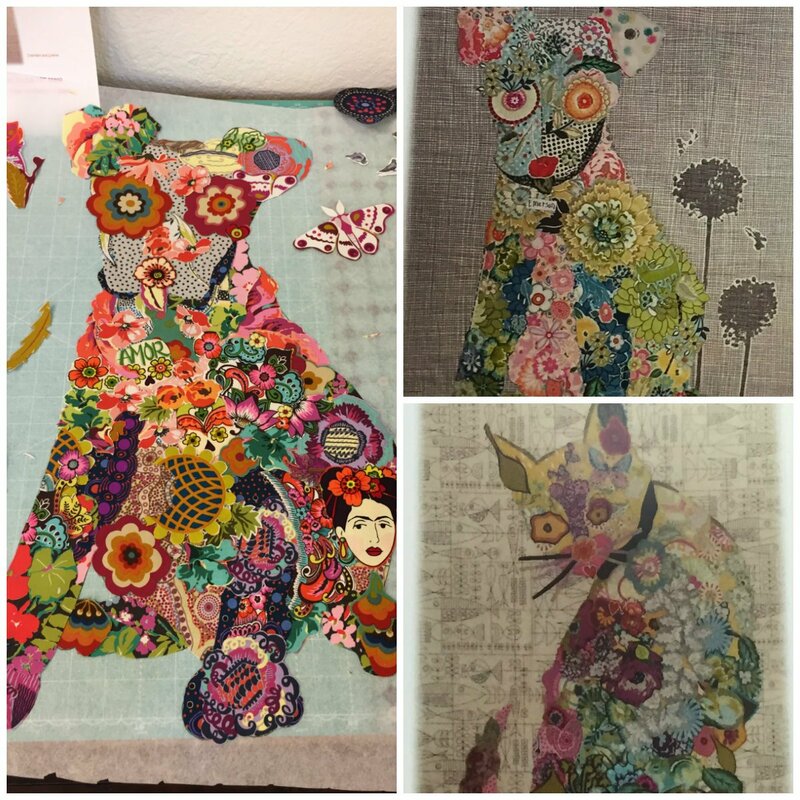 In this class, you will receive a kit containing a pattern, fabrics and supplies for a mini quilt, and a booklet on Laura Heine's method of creating fabric collages. Pattern options are "Emerson the Puppy" or "Purrfect the Cat". Techniques taught in this class can be used to create larger quilts or on any Laura Heine pattern. It is not anticipated you will complete the entire project during this classroom session. All techniques that will need to be completed outside class will be covered in class to ensure you are comfortable finishing the project.